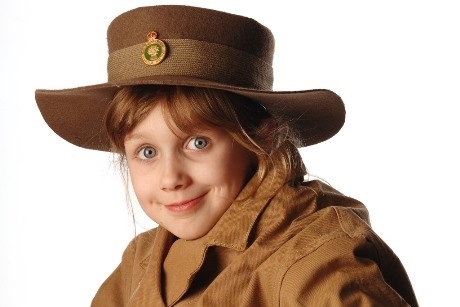 The Portsmouth Museum recently ran a series of home front-related workshops for Key Stage 1 and 2 pupils, and will repeat the experience on various dates next March. The one-hour learning sessions focus on what everyday life was like for families during World War Two. Pupils will investigate original artefacts and documents including gas masks, items used by air raid wardens, clothing and domestic objects. They will also explore the different roles people played on the home front. There will also be opportunity to use role play to simulate an air raid and find out how people prepared for them, as well as learn about rationing and evacuation. The session looks at many aspects of life on the home front and is considered beneficial for school groups starting and finishing their work on the topic. The home front experience is usually delivered at the D-Day Museum but is relocating for one year whilst the museum is being redeveloped. Teachers can book a home front workshop on selected dates between 7th and 17th March. Schools can also enjoy self-guided visits to related museum displays before or after their workshop. Portsmouth Museum boasts a series of Edward King's paintings of life in 1940s Portsmouth that can tie in to a visit. Edward King: a Life in Art documents King’s portrayal of the devastation caused by the bombing of Portsmouth in World War Two. Houseboats and the quayside at Milton Locks, Portsmouth. The exhibition can be used as a resource for creative work across the curriculum in Art & Design, English, History and Geography. It will be open until spring 2017. An accompanying education pack can be requested by e-mailing learning officer Tracy Teasdale at tracy.teasdale@portsmouthcc.gov.uk. For further information visit www.portsmouthcitymuseums.co.uk.